"The hub of lifelong learning." The ideas pronounced by the American Library Association (ALA) in the Library Bill of Rights, by the ALA and the Association of American Publishers (AAP) in the Freedom to Read Statement by the ALA and the American Film and Video Association (AFVA) in the Freedom to View Policy. The section of South Park Township known as Library was named because of the presence of a private library collection in the home of John Moore. Around 1833, John Moore began a fund to purchase books and subsequently became the first librarian of the new collection. Other members of the community added to the library, so the number of volumes grew to about 2,000. This neighborhood group of library members formed a "Library Society". The last librarian, in this era, was Samuel Wilson, a blacksmith who stored the collection in his stable. South Park Township's first free public library found its 1960 residence in a room at the end of Wilson Hall, the site of the Windover Hills United Methodist Church, sponsored by the Windover Hills Women's Club. They staffed, funded, and literally nurtured its growth. Services at the library included children's fiction, reference materials, adult best sellers, and general fiction. The core collection was built by donation, a flashback to the historic library in Library. Membership for children under 16 was free and $1.50 for adult cardholders. Funding was made possible by the Women's Club through Card Marathons, which would not have been successful without community support. All this by volunteers, until in 1968, the library was faced with its first of many subsequent moves. The Windover Hills Women's Club found it necessary and provident to enlist the help of the South Park Chamber of Commerce with the move out of the soon-to-be demolished room at Wilson Hall. The Chamber set up a Township Library Building Fund and a Library Committee in conjunction with the continuous fundraising events of the Women's Club. 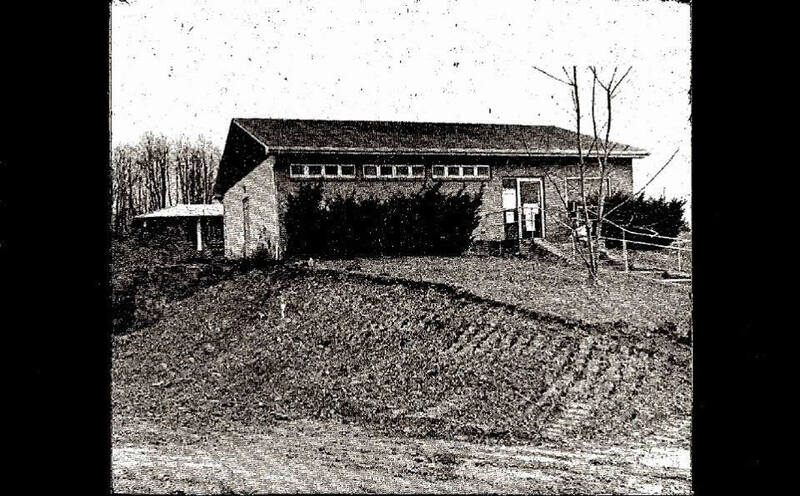 With Chamber support, the library would realize, in 1969, a permanent home in a brand-new building next to the Township Building; however, completion of the new site was not possible by the time of the move from Wilson Hall. The School Board, therefore, granted the library the use of a room in Broughton School (Morgan School). Many other community groups, including the South Park Women's Club, contributed to the building fund at this time. In early 1969, the move to Broughton School was accomplished by volunteers, of course, including a hearty group of Boy Scouts. In February of 1969, the Broughton School, a temporary library site, was opened to the public. Hours were on Wednesday and Friday evenings, and the services were continually sponsored by the Windover Hills Women's Club with a warm invitation sent out to all community members. The Library Fund Drive officially began on March 17, 1969, steered by the Library Committee of the Chamber of Commerce. All funds were donated by the community, and the land was provided by South Park Township. The South Park Township Library was on its way to becoming a realized integral part of the community. Ground was broken for the library building on August 17, 1969. 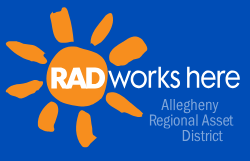 Representatives from the Chamber of Commerce, the Board, and the Township Supervisors were present. The feeling of community pride and accomplishment reverberated throughout the ceremony. In the winter of the following year, the building was completed, and a formal open house took place on December 6, 1970. Many months had passed since the initial fund drive had begun, yet the many hours of free labor and community donations had truly accomplished their goal. Library service was provided by a volunteer staff with a volunteer librarian. The hours of operation were expanded to Tuesday and Thursday evenings and Saturday afternoon. Membership fees were $1.50 for adults, $5.00 for the family, and free to all children under the age of 13, who lived in South Park Township. The internal structure of the library's operating system was also changing with the new building. The Windover Hills Women's Club relinquished their Library Committee as the volunteer corps of the library. All their materials were officially donated to the new community library. They continued to volunteer as individuals but not as a club committee. A supervisory board was established at this time continuing the name, Library Committee, and later changing it to the present Library Board. The Township provided the funds for support services, such as telephone and utility bills. - to sponsor cultural and related programs for the community. Membership fees in the Friends are used as a yearly contribution to the library, along with many other fund-raising campaigns. The design of the Friends harkens back to the Library Committee of the Windover Hills Women's Club. In order to fulfill the goals and objectives established by the Friends, programs such as a pre-school story hour, a Volunteer Service with training done by the veteran volunteers and various fund-raisers (Craft Sessions, etc.) were devised. The volunteers manned the library at all times and expanded the hours to Monday, Wednesday, and Saturday during the day and Tuesday and Thursday evenings. By the summer of 1975, the library had grown sufficiently to support a part-time librarian as the first paid position on the staff. Volunteers from the community directed by the Friends of the Library were functioning as the support staff, with many women who started as members of the Windover Hills Women's Club participating. The Township Supervisors had continually been involved in the library, but in the spring of 1976, their support reached an all-important high. They announced their intentions to expand the municipal building, including the design of a new library. The new facility would mean approximately four times the present space. The growth of the library had become a shared responsibility between the township government, the Friends, and the public. Again, the Friends of the Library were prepared to begin a donor drive for office equipment, furniture, and shelving for the new library. The goal was set at $25,000 by the Friends.The Chamber of Commerce and the Women's Club were enlisted to help supervise the Donor Drive. Luminaria became the Women's Club traditional fundraiser for the library. Another change was presented to the new library system, a new librarian was hired in April 1977. At this time, the library had to vacate its present building and move again, temporarily, to Morgan School until the new facility was completed. Volunteers accomplished the move. A new position was added to the library staff for a part-time clerk in the fall of 1977, due to the library service's rapid expansion. 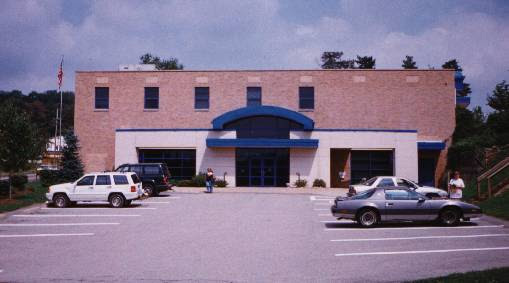 In January 1978, the South Park Township Library, under the auspices of the Township, moved to the top floor of the South Park Municipal Complex, at 2575 Brownsville Road, which would eventually house the South Park Board Room. Without the volunteer services offered by the community, the move would not have been accomplished as quickly and easily. The organizational relationship between the Township government and the library was also altered. The Township assumed direct responsibility for the employment of a full-time professional librarian and a part-time clerk. The librarian was still dependent on volunteers to man the library depending on the amount of hours opened. The Library Board became an official council under the State Library Code and is directly responsible for the activities of the library. Three more staff positions were added to the library through the acceptance of a CETA Grant. The Friends of the Library were overjoyed with the prospect of a new library building and succeeded in raising the money from the Donor Drive to furnish the library. They continue to this day to provide the library with storytimes, craft classes, fundraising projects and volunteers to support the library in conjunction with the objectives created by the founders of this organization. In 1994, the South Park Township Library would again be on the move. 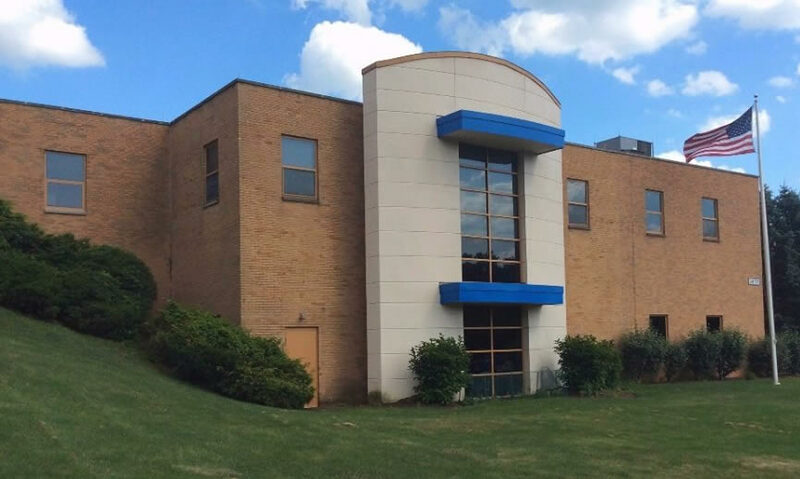 The library moved to the lower level of the South Park Township Municipal Complex, where it is presently located. 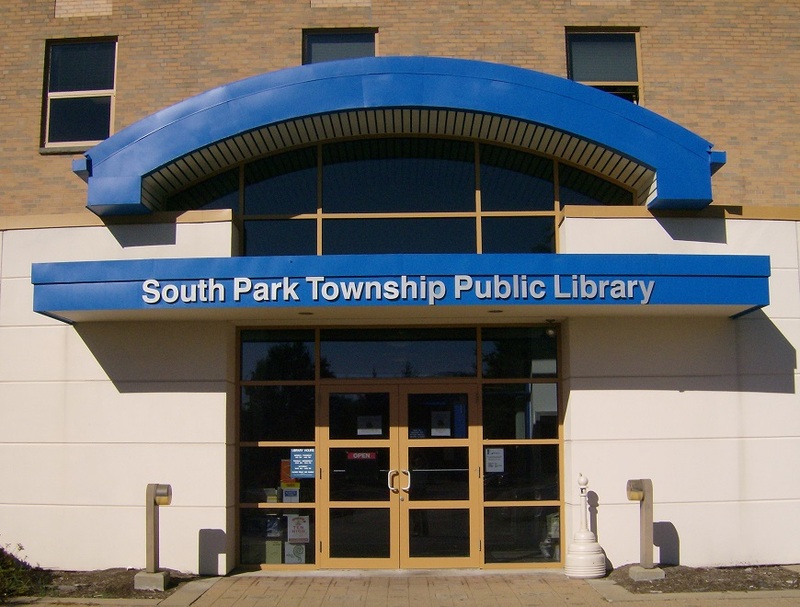 As the South Park Township Library staff and programming continued to grow, it was decided that the building was in need of a renovation. In 2005, renovations began in the interior of the building. During the renovation process, South Park Township Library added many new features including an audiovisual section filled with DVDs and CDs, additional public computer stations, the addition of a wireless network for patrons to use, a children's storytime area, a reading area complete with a fireplace and several other features to give the interior of the library a new look. The Library finished its interior renovations in February 2007. In May 2009, the Library created a brand new section near the front desk, which became known as "The Bestseller's Collection". This collection included books, books on CD, certain DVDs, and a growing collection of Blu-Ray movies. A small collection of video games was added to "The Bestseller's Collection", in 2012. Playaways were reintroduced to the Library, in 2017. Launchpad tablets containing kids programming were introduced in 2018. 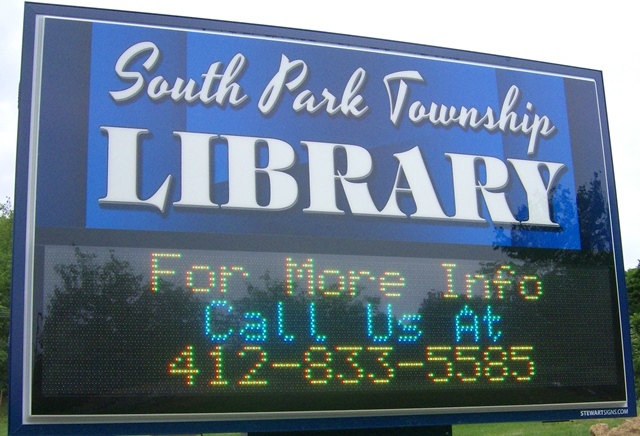 Other amenities were added to the Library, during this time, including the construction of a Digital Sign, in 2016, along Brownsville Road to inform the community of all upcoming Library events. Also, in 2016, an information display was also mounted on the wall behind the front desk to display all kinds of relevant library information. New shelving for audiovisual items and books was also incorporated into the Library, in 2016 and 2017. The fiction section was expanded in March 2019. In 2018, brainstorming sessions for the library's "Heart of the Community" mosaic mural took place. The "Heart of the Community" mosaic mural will eventually be placed along the exterior of the library. To view the progress of the mosaic mural, please visit the Heart of the Community Mosaic Mural blog here! 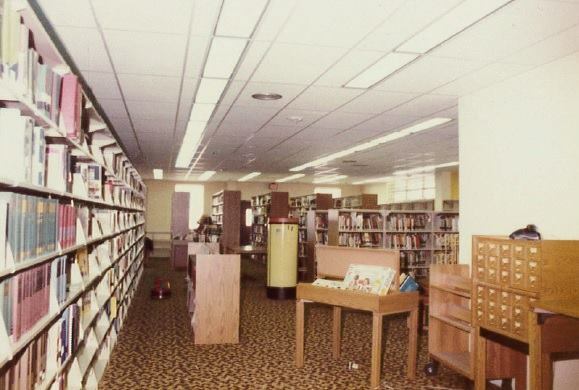 Renovating the physical building was not the only project that took place during this time, as technological improvements continued to be incorporated at the Library. Each month the library offers a series of FREE computer classes that anyone can sign up for. The library's website was launched in the early 21st century to provide all kinds of information to the public. In the spring of 2010, the Library launched its own Facebook page, which is frequently updated with upcoming events and other important information. The wireless network was also upgraded multiple times to allow patrons to print things off of their own computers, in November 2010. The wireless access points were upgraded, in the fall of 2014. In 2011, a collection of FREE downloadable borrowed materials including e-Books and Audiobooks became available to library patrons at the Overdrive website. In 2012, a collection of FREE downloadable magazines became available to library patrons through the library's Zinio service. In 2017, Zinio transitioned to other online services including Flipster and RB Digital as the primary methods for accessing FREE magazines. In 2014, additional online services such as Hoopla were launched. Hoopla enables patrons to stream up to 10 items of video, audio, graphic novel, or e-Book content each month with an active library card and an e-mail address. and other visitors. The Friends of the Library website was also redesigned later that year. 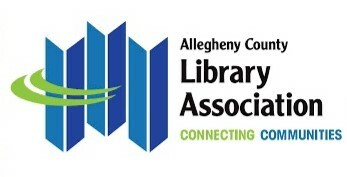 A library newsletter was also developed to inform the public of upcoming programs and other library events via e-mail. With the support of the community, it truly is a bright future at South Park Township Library! Come check us out!